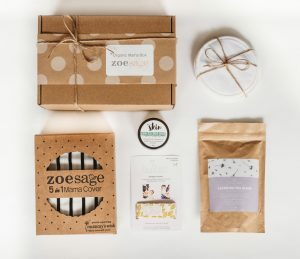 Zoe Sage is an online store for the modern busy mama; with health-conscious products that aim to help with everyday tasks and reduce stress. Bianca, a Perth mum of two, is the mastermind behind the 5 in 1 mama cover, and states that she wanted to create and stock products in her online store that would support mums in a holistic way. Our products aim to make mamas feel happy to get out and do everything they need to with bub by their side; easily feeding, transporting, carrying and supporting their babies. I was keen to know more about Bianca’s inspiring story and her products, so I sat down with her for a quick chat. Can you tell us a bit about your story and what inspired you to create Zoe Sage? 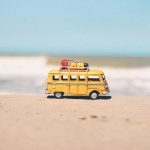 I’m a 32 year old Aussie/South African mama of 2 gorgeous kids, who has a huge passion for the alternative world of health and wholesome intervention. I’m a fully qualified beauty therapist and diploma lecturer and I think my three years of study was what sparked my initial interest in natural therapies including essential oils, homeopathy, bach flower remedies and herbs. Just over 3 years ago, when my son was diagnosed with autism, I found that my whole world and existence became about healing him with mother nature as best as I could; successfully in some areas and unsuccessfully in others, although I have learnt to pick my battles in whatever phase we are in. My interest in natural health continued when my daughter was born; I went low tox at home, regularly used homeopathic products and essential oils, and really focused on gut health and cooking fresh, whole foods. I have a goal to study naturopathy once my life with little ones slows down, but for now this season is all about my babies and Zoe Sage. 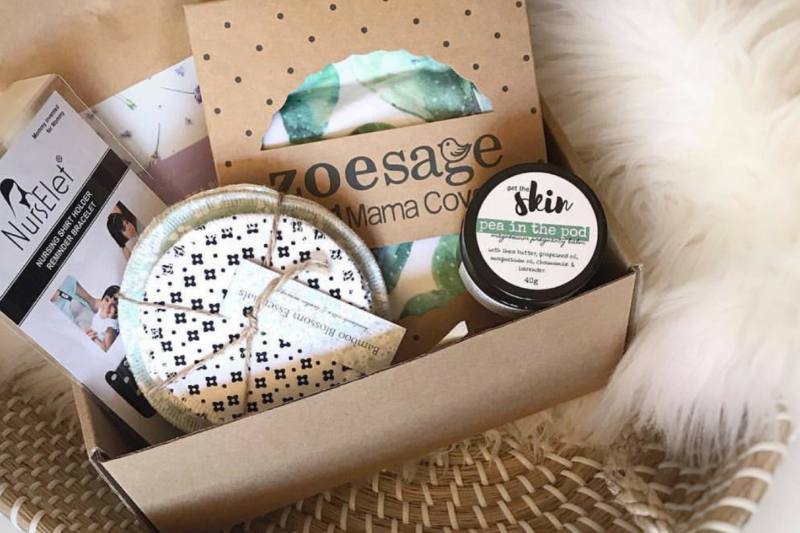 The idea to create Zoe Sage came about after my daughter was born and I found myself looking for products that were practical in helping me meet my newborn daughter’s needs while out and about attending all of my son’s therapy appointments. I really struggled to find an all-in-one product, that also aligned with my health values, and decided to develop my own. It sounds like a lot of thought has gone into your products, can you tell us more about them? 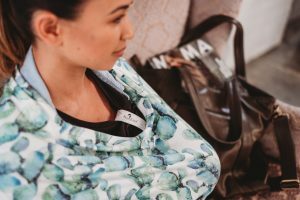 The 5 in 1 Mama Cover allows mums to be completely covered while breastfeeding but can also be used as a capsule or pram cover to shield from the rain or sun, and as a high chair or shopping trolley seat cover to protect your baby from germs. Having just the one product to carry that is so functional is really convenient. My daughter is now 16 months old and we still use it multiple times in a day. The cover was designed by me, but manufactured in India by a company that took me a long time to find. I wanted to work with someone who had exceptional quality standards and used only GOTS certified organic cotton in their organic fabrics. This was a match made in heaven. To allow for some fun prints and to get good quality prints for those who are not as concerned about organic fabrics, we then created an original range using natural rayon and spandex fabric too. Around the time that I was thinking of the concept of the mama cover I came across a product called the NursElet, which was an absolute saviour for me in the early days with a newborn and severe baby brain; it is a unique essential feeding bracelet that holds your top off baby’s face during feeds, and also acts as a breastfeeding reminder (to be placed on your wrist) to know which side is next. The NursElet is designed to be ergonomic and prevent neck and back strain while feeding. The relationship with Rupal (owner and creator of the NursElet) has been effortless and perfect. We are her exclusive distributor for the Australian and New Zealand territories and share her passion to help make the life of mamas easier. I just knew ALL Mamas should have these gems as part of their everyday life, and that’s where it all began. Our mama box! Firstly, I wanted the box to be full of things I truly felt were essential to help mamas feel less stressed. It also needed to be completely recyclable, my mission since my son’s diagnosis has always been toxic-chemical free, clean and reusable. So we paired our two products up with ones that were genuine and beautiful; Bamboo Blossom reusable breastpads are great for new mamas and environmentally friendly; an organic lactation tea from The Mumma Bear Naturopath; and a specially formulated magnesium pregnancy balm by Get The Skin. It uses nothing but raw, organic ingredients for aches, pains and insomnia in pregnancy, breastfeeding and beyond. Overall I want mamas to be invested in what they use internally and externally, to enable them to care for themselves and their baby, and the high quality products that we stock reflect that. You are so clear on your purpose and what your business stands for, and you have another passion project you have woven into it, can you tell us about that? Yes! After hearing the stories about my brave mother-in-law’s battle with breast cancer, and witnessing the aftermath of her chemotherapy treatment, I was inspired to give back to an organisation that supports mums with cancer. I was excited to find Mummy’s wish and hear about the amazing work they do, and I will be making a small donation from the proceeds of each 5 in 1 mama cover sold, to this fantastic organisation.